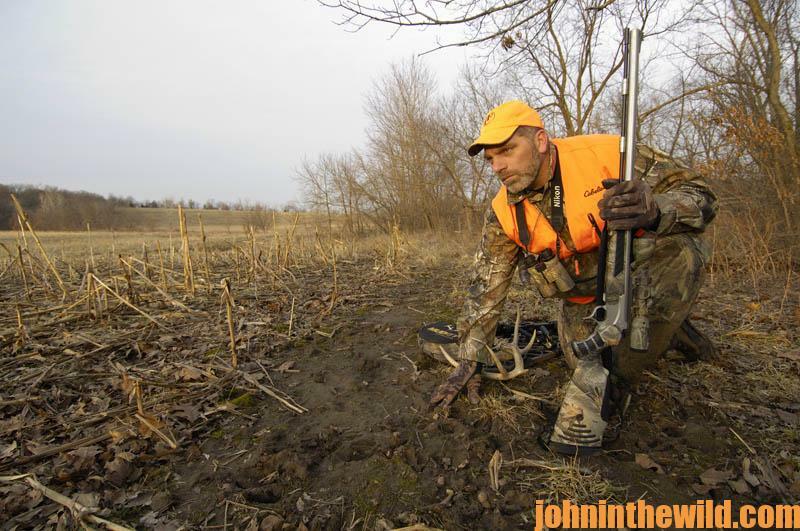 John’s Note: The hunters who score deer year after year know the truth – you have to give Lady Luck a helping hand. Here’s how! 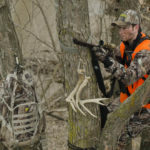 The spot where the hunter shoots the deer often reveals plenty of information to aid the sportsman in recovering his trophy. Therefore when I went to the area where I’d shot the buck, I took my time to read and interpret all the available sign. 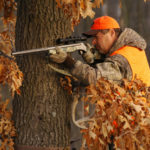 When I arrived at the spot where I had shot the deer, there was bright, red blood all over the ground – with some foam in the blood, indicating a lung shot. I looked the area over where the deer had fallen to spot any more information on the ground. I stood over the site for a long time before I observed a small swatch of deer hair. Being able to read the hair on a deer is a critical factor in determining where your bullet has hit. Basically the shorter hair is closer to the head and chest, and the longer hair is further back down the body. The hair along the rear and the belly of the animal is usually the longest. On the deer I was hunting, the darkest hair had been on the top of the animal and the lightest color hair on the bottom of the animal. Therefore as I studied that hair that the bullet had probably cut, I saw that the hair was short and light-colored, which indicated that the bullet probably had landed where I had aimed – low and on the neck. I assumed that the deer had been shot either in the heart or the lungs. I realized I could reasonably expect to locate the deer relatively close to where I had shot. 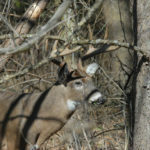 I searched for the trees that I had spotted from my tree stand along the route the buck had taken. Then I lined myself up from the point where I had shot the deer along the trail that the buck had to have traveled. Always remember not to concentrate so much on the blood on the ground that you miss important signs that are off the ground. Generally I stand up and walk the blood trail and then stoop down when I come to something of interest. As I went along the trail this day, I not only found foamy blood, indicating a lung shot, but also I discovered little pin-head size pieces of meat that apparently had been expelled with the blood. Too, the blood was blown out across the trail rather than trickling down. Continuing to move along the trail, I was almost certain that the deer was blowing the blood out from his lungs. I watched for the direction the blood had splattered. If a deer was running and dropping blood, the drops of blood would trail off to a point in the direction the deer was traveling. So, if the blood spots didn’t have a trailing tail, then more than likely the deer was walking. 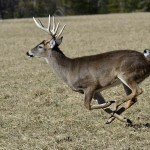 But if the spots had a trailing tail, then the tail pointed to the direction the deer was traveling. By slowly moving along the blood trail, I noticed on the sides of trees a patch of blood where the deer had rubbed in his passing. I continually looked down the trail for a large patch of white. 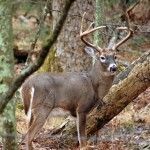 Many times when a deer piled up, you could see that white patch of hair on his stomach. And, that was what happened on this particular hunt. I’d only followed the blood trail 30 yards when I saw the white patch of stomach hair, and the deer laying in a heap. 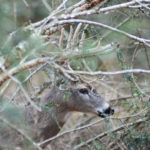 To be consistently successful as a deer hunter, don’t look for magic potions, secret formulas and easy ways of taking deer. 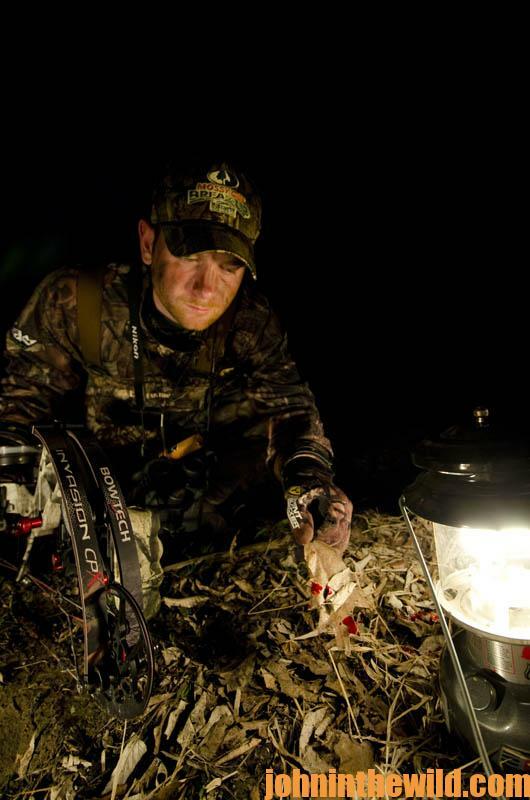 The hunters I’ve known who’ve been successful follow one basic rule – the little things make the difference in success and failure as a deer hunter. Anticipate, expect, predict and make ready all are verbs that a good hunter must live by. 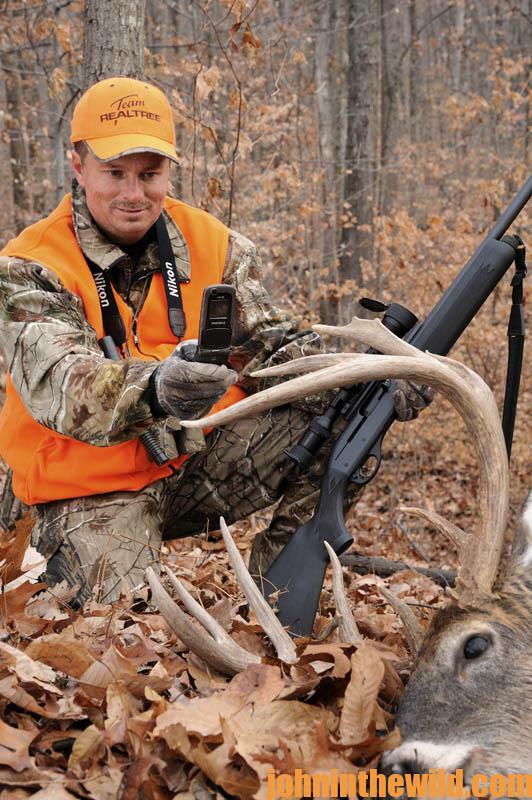 The reason I was successful in bagging a buck was because I expected to take a deer, and I followed simple, basic rules before the deer showed up – when I heard the deer, when I saw the deer, and after I shot the deer. 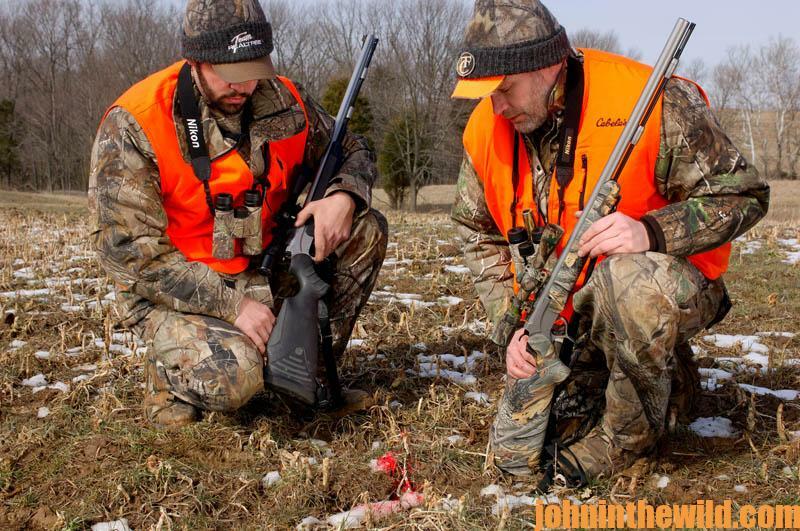 Deer hunting is a precise sport where little things make the difference, and the sportsman who pays close attention to detail will be consistently successful.